Sublime Candles are made from the highest quality wax infused with the finest fragrances and oils. We have a selection of over 50 deliciously scented candles – from fruity scents, to spicy or floral scents – in our standard range, but are constantly adding new scents. All our candles are handmade in the UK from the finest fragrances, oils and waxes. They are wonderful, moisturising soaps that make you and your skin feel good. Our soaps are made with ingredients that are as natural and pure as can be sourced. 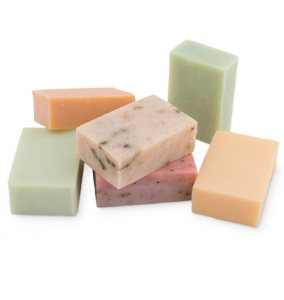 There are no synthetic ingredients in Sublime soaps, and they are handmade in small batches. Our soaps do not contain animal fats or parabens, are not tested on animals and are suitable for vegetarians and vegans. We believe that a high quality product, the highest quality ingredients and value for money are essential in making our candles and bathing products. Sublime Bath Bursts provide an outstanding luxury bathing experience, with beautifully fragranced products. Containing only natural ingredients and handmade in the UK, these bath bursts offer something for everyone, from a relaxing evening soak to a refreshing, reviving boost. 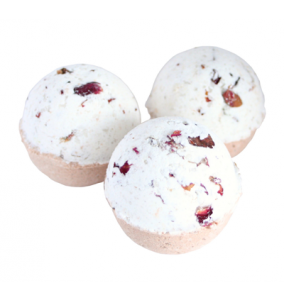 Our bath bursts contain only natural ingredients, are not tested on animals and are suitable for vegetarians and vegans. At Sublime, we have spent time researching and creating the best products. Candles and bathing products that give you something different to all others on the market. Born in Liverpool, Helen Morgan is a British businesswoman, mother and natural wellness advocate, best known as the founder of Sublime Candles, a company dedicated to producing and retailing candles and bathing products based on ethical consumerism and enhancing wellbeing. Helen started Sublime Candles in 2013 with her sister Julie, to share their passion for wellness. As a former personal trainer and fitness coach, learning about our bodies and natural healing led Helen and Julie to learning about alternative therapies, including essential oils, GMOs, non-toxic cleaning, the harmful nature of chemicals, and much more. Helen was living green by default, although health and wellness are her primary objectives. And so began Helen and Julie’s mission to set up Sublime Candles and Sublime Scents, to help promote wellness through the use of their candles and bathing products. At Sublime Candles we prohibit the use of ingredients tested on animals, promote fair trade, and create products which are suitable for vegetarians/vegans.